The data also shows that rental yields – annual rental income as a percentage of property value – have remained at the same levels seen throughout 2015. The survey found that yields averaged 5.6% nationally in quarter three. 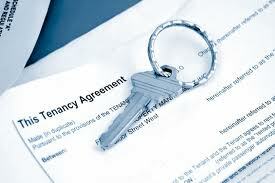 The greatest number of landlords (17%) reported yields between 3% - 4%, while one in ten landlords reported yields of 10% or more. Yorkshire and the Humber reported the highest yields in quarter three (6.1%) with outer London reporting the lowest (4.8%), despite outer London having the second largest increase in levels of tenant demand. On tenant demand, the East of England region has performed best in quarter three, with 52% of landlords reporting an increase in demand. This figure was just 31% for the North East – with a national average of 41% of landlords saying demand had increased. This figure represents a strong year-on-year increase in tenant demand across several regions since quarter three 2014 with the demand in the North East having increased from 23% to 31% and in outer London from 42% to 48%.